How to Use the Description Cleaner? You've noticed that after you applied a template to your listing, there is unwanted text in your description placeholder. When you add an eBay account to CrazyLister, we import your live listings and pull the existing texts from your item descriptions. When a template is applied to your listing, all the text in the listing (including shipping/payment/returns etc.) auto-populates the description placeholder in addition to the description from your listing. This is the extra text you are seeing. This tool was created so that you can delete the text from the templates and keep the text that is item specific to your listings. 3. 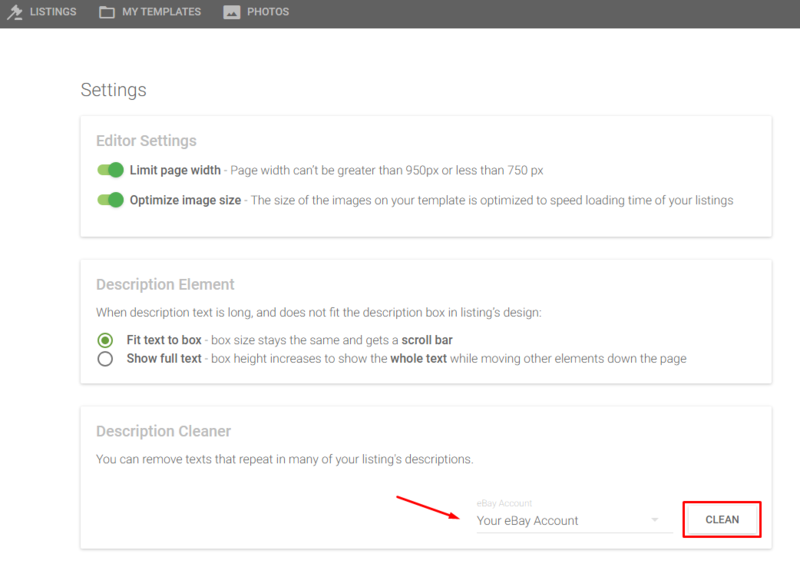 After clicking on Settings, you will see the feature "Description Cleaner." It will look like the image below. 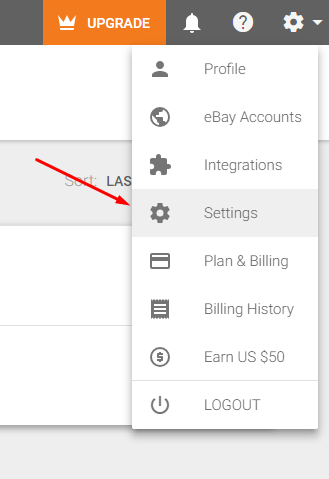 Select the correct eBay account that you want to work with and then click on the CLEAN button. Note: Once you follow through this whole process, you can come back and do it again with other eBay accounts if you have others connected to CrazyLister. 5. After clicking the CLEAN button, you will be brought to the next page where you will select which text segments you want to keep and which you want to delete. 6. When hovering over text segments, on the left end you will see a garbage icon and a check mark. Clicking on the garbage icon means you want to delete this segment and the check mark means you want to approve or keep this segment. Note: When you select delete or approve it will be sorted into the folder in the left hand tool bar. You can always go back in and move the segments around in case you accidentally clicked delete or approve and want to change your mind. 7. When you are happy with you selections, click on the Apply Changes button to apply the deleted and approved text segments. 8. All you have to do is click on the X in the top right hand corner of the screen to bring you back to your Listings page.